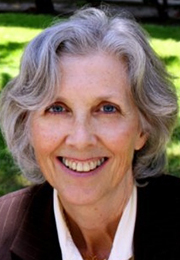 Kathleen Wilber is the University of Southern California Mary Pickford Foundation Professor of Gerontology and holds a joint appointment in Health Services Administration in the School of Policy, Planning, and Development. Her research has focused on improving the quality of life of people with chronic physical and mental health conditions, by improving the formal health and long term care delivery system. Her work on collaborative relationships among providers has examined cost effectiveness and health outcomes of different service delivery structures. Her research interests include outcomes research for older adults in managed care, the development and evaluation of chronic care models that link acute and long-term care, and the translation of evidence-based long-term care interventions. In addition to health care, Dr. Wilber’s research has focused on protective services including guardianship and conservatorship as well as financial management services for older persons. As a subset of this research her research and writing have explored the problem of elder abuse, specifically focusing on financial elder abuse.